How do I set up the analysis software to expect a particular sensor on an analogue input? 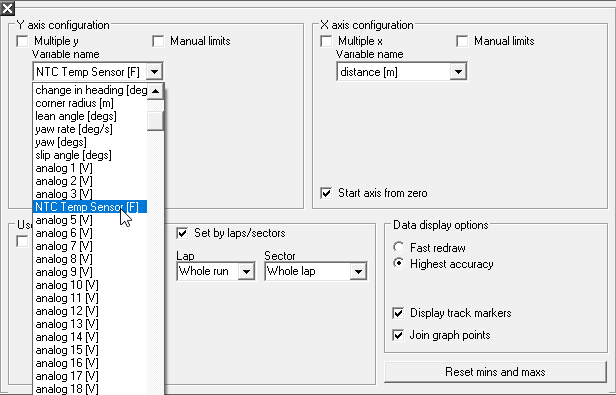 Step 1: Enter the data menu in the top, left hand corner of the screen, and select the "Variable Manager" option. Step 2: This will open a window. Open up the "Voltage" sub-menu. Step 3: Now select the analogue that you wish to apply.. Step 5: This will open up a window. By pressing on the downwards pointing arrow to the left of the words "units as displayed", you will open up a drop down menu. You may now select the sensor that you wish to apply. When you have done so, press "OK". 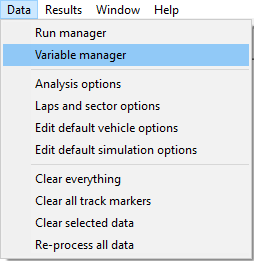 Step 6: Now select the "Variable Name option" from the Variable Manager window. This will allow you to name the analogue input accordingly. 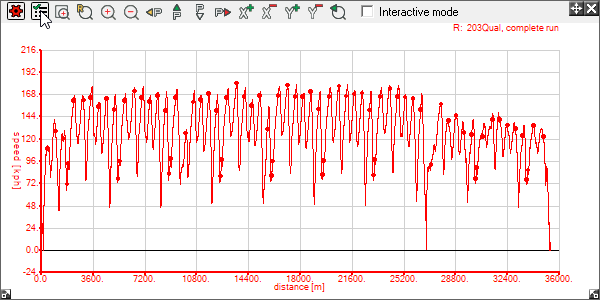 Step 7: To view the changes, open the XY graph, and click on the "Data Options" button. Step 8: This will open up a sub-window. 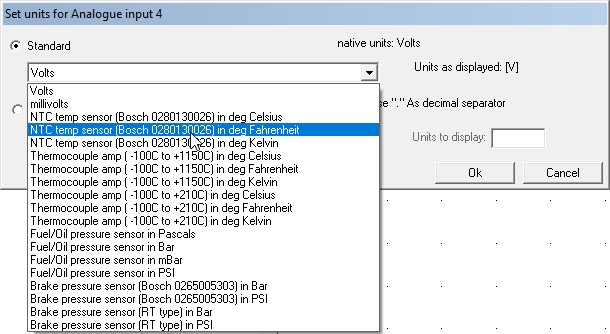 By selecting the "Variable Name" drop down menu (by pressing the appropriate downwards pointing arrow), you may select the sensor that you have applied.